The 2017 Mitsubishi Mirage was recently called the “Most Affordable Car to Lease” on the market but it turns out that if you’re more interested in buying than leasing, the Mirage remains a good bet for saving money. Kelley Blue Book’s KBB.com has released its annual list of the “10 Most Affordable New Cars” of the year and it featured the 2017 Mitsubishi Mirage in seventh place. The recognition is based not just on starting MSRP but also on depreciation, financing and insurance costs, and fuel costs. As a result the list does not feature the cars that are outright cheapest to buy at the dealership but rather the cheapest cars to own and drive for a full five-year period. 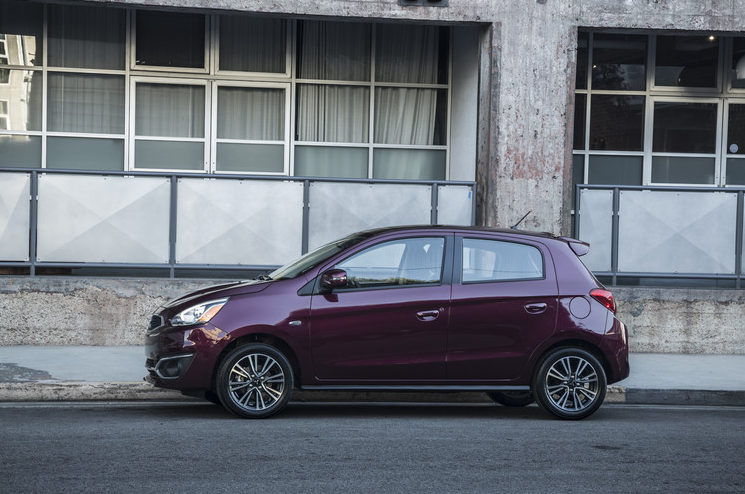 With its remarkably low starting price of $12,995 and excellent fuel economy, it’s no surprise the Mitsubishi Mirage found itself on the list. In fact, with an EPA-estimated 37 mpg city and 43 mpg highway (corroborated by KBB’s own real-world findings), the Mirage is the most fuel-efficient gas-powered non-hybrid car in America. What’s more, for such an affordable car, the Mirage offers a surprising amount of features, ranging from available Apple CarPlay™ and Android Auto™ to a 300-watt Rockford-Fosgate™ sound system. Additionally, the peace of mind and maintenance savings that come with the 10-year/100,000-mile powertrain limited warranty and the other excellent warranties is unmatched in the industry, save by Kia and Hyundai.